A critical skill set that happy people tend to have in common is emotional intelligence (EQ). We’ve tested the EQs of more than a million people and know what makes high EQ people tick. 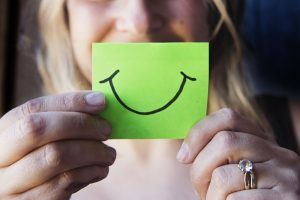 So, we went digging until we found some great ways that emotionally intelligent people create their own happiness. They don't obsess over things they can't control. It’s good to know how the Brexit might affect your country's markets or that your company could merge with its largest competitor, but there’s a big difference between understanding these larger forces and worrying about them. Happy people are ready and informed, but they don’t allow themselves to fret over things that are beyond their control.